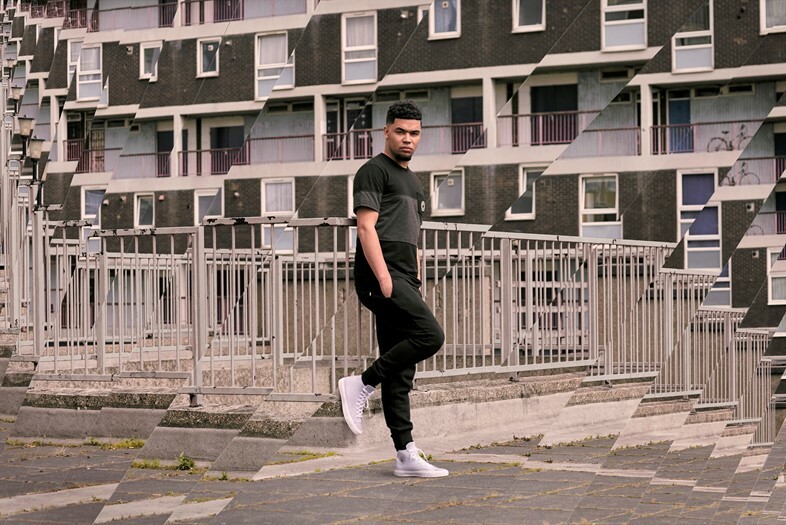 Raised by a dad who was moonlighting as a hip hop DJ in a house surrounded by sisters who only listened to R&B, it’s hardly surprising that Yungen feels comfortable shifting between genres. Since his foray into the UK music scene in 2010 via a music video he uploaded on YouTube that turned up on SpiffTv before catching the attention of SBTV’s Jamal Edwards, Yungen has independently released Project Black & Red in 2014, been nominated for a MOBO Award in the category of Best Newcomer and garnered industry-wide credibility for going into a battle against Tottenham MC Chip. Off the heels of his team up with Converse and his most recent track “Fools Gold”, with its accompanying video shot by Kaylum Dennis, we took ten minutes backstage with the young MC to find out more. How did being raised in south London help shape your music? You’ve mentioned in previous interviews that because grime was east London and south was more rap, it really honed your style. Yungen: We didn’t really listen to grime, the only grime group we had (in south) was Roadside G’s. Obviously, we knew the big names, Dizzee Rascal, Kano, D Double E… but it was more who was local to us, like Giggs. My dad used to do a DJ thing so he had loads of hip hop records and was always playing music in the house. I have three older sisters and they used to play 90s R&B all the time. Even now, all I’m playing is R&B. People are like, 'why are you playing that, don’t you do rap?' But R&B is how I properly started to love music. Who were the people you were looking up to and listening to in those early days of discovering music? Yungen: 50 Cent was the first rapper I was into – I wanted to be like 50 Cent. Giggs was the first rapper that we saw from my environment, from an estate, that was doing well. When he was first on TV we were like ‘oh wow, we can have a go’. Did you think of rap as more of an American thing than a UK one? Yungen: I feel like a lot of UK rappers sounded American, so I feel that’s why everyone is so supportive of grime right now because it’s so British. Americans don’t rap like that. I don’t really see (rap) as an American thing though, it’s music. Sometimes people say I’m a grime MC but I wouldn’t say that: I rap, I do grime, I jump on R&B, I just love music. What do you think about when you’re putting down tracks? Yungen: I never used to be able to write in the studio. I would be sitting there for hours and then just take the beat home. I was inspired by the things around me and what was going on so I had to go out and have fun and go through experiences to write. I like to think a lot of my music is based on real life experiences. Yungen: It can vary and when we go perform and stuff we have different sets for different places. Sometimes it’s more of a girl crowd or then I go somewhere that’s a proper grime crowd. So it can be deep or high-energy. So it’s important to be multi-dimensional? Yungen: Yeah because when a phase dies, I don’t want to die with the phase – if that phase is all I’ve got. How have you evolved since you released Project Black & Red? Yungen: I was a kid living on an estate so my views then are totally different now. Which is why it’s taken me so long to put out another project. Projects are so important to me, I don’t want to just put out a mixtape or an album, and just be doing it for the sake of something. I want it to mean something. Obviously, I’ve put out music since then, tracks here and there, so my next project is me going from being a kid to a man. In between that time you had some now infamous beef with Chip. Do you feel that overshadowed your music or elevated it? Yungen: It was a weird time because I’d just signed my record deal so I had my releases ready. Then that happened, but I couldn’t have stepped out of it. It was so important – especially being a rapper – when a good rapper comes at you, you have show your ability. I think since then, people who didn’t think of me thought it was sick. Even if they weren’t fans. It could have come across as if it was for publicity but I don’t think like that, or think that that’s cool, but at the time it was needed. If I hadn’t of replied I feel it could have ended badly. Do you have any mentors in the scene? Yungen: Wretch 32. Whenever I need to talk he’s someone I can talk to. He’s a deep thinker, he sees everything like ten times before it’s come. He’s a very smart person. I look up to Giggs – people who have made it from where I’m from, and people giving a positive vibe. Tell us about your new song “Fools Gold”? Yungen: I was on Instagram seeing loads of pretty girls with loads of followers but they don’t do anything. I just thought it was such a shame – they’re doing things for Instagram. That’s what I based the song around and the experiences I’ve been through, as well as my friends. Gold digging girls – pretty girls who have no ambition but to live on Instagram. In the video, we got a look at the new Chuck Taylor All Star x Nike Flyknit – and you’re the face of its campaign. Tell us about your relationship with Converse? 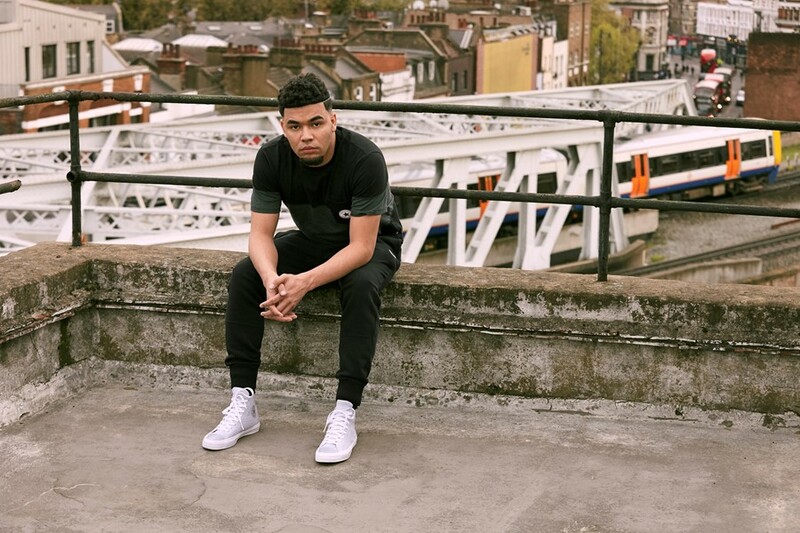 Yungen: I love Converse – I can always wear trainers but when I want to be a bit more swaggy I wear those. When I got my first pair I thought, ‘I’ve got swag power’ (laughs). So when they came to me I just thought it was sick. Converse is so intrinsically linked with music but maybe not so much the rap and grime communities which is why this feels like exciting territory. Yungen: It’s a rockstar shoe, especially these new ones. Yungen: I’m just recording and finishing my album. This summer I’ve got a few singles coming out and then maybe the album at the end of the year.